A lot of people are wondering if the Google Mobile Friendly Algorithm is fully rolled out yet, the answer to that is yes. 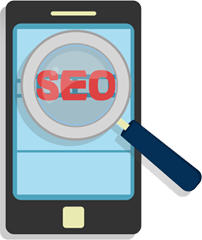 Google's mobile friendly algorithm is fully rolled out according to Gary Illyes of Google. Gary responded to my question if it was fully rolled out on Twitter this morning saying "the algo is rolled out." But he added why some people may not be seeing the full impact. Gary said "but not all pages were reindexed yet so they don't have the new scores." He also added, "there were a load of sites that became MF recently, so the actual number of sites affected decreased considerably." So what Gary is saying is that the mobile algorithm is live but the reason we may not be seeing "significant" changes in the mobile results yet is because indexing and rescoring based on that indexing can take more time. But the algorithm is indeed fully rolled out. The next message from Gary implies that since so many sites became mobile friendly, the impact was less than expected? I believe we first saw the roll out start on April 22nd but even a week later most are saying they have not seen significant changes yet. Webmasters expected this update to be larger than Penguin and Panda but so far, are not that impressed. I guess we need to wait a bit longer?